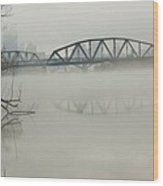 There are no comments for Allegheny In The Mist. Click here to post the first comment. 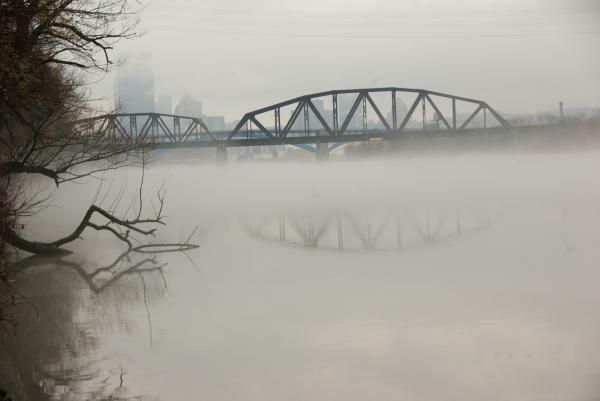 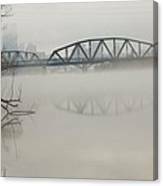 Railroad bridge over the Allegheny River is becoming visible with the lifting of a heavy early-March fog blanketed the Allegheny Valley. 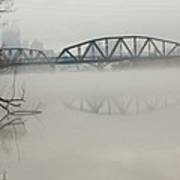 Downtown Pittsburgh is barely visible in the background. 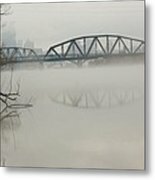 Photograph was made under the 40th Street Bridge.